Diane von Ferstenberg has been an idol of mine ever since I slipped into my first wrap dress. She arrived in New York with a suitcase full of jersey dresses that she had made at her friend Angelo Ferretti’s factory in Italy. 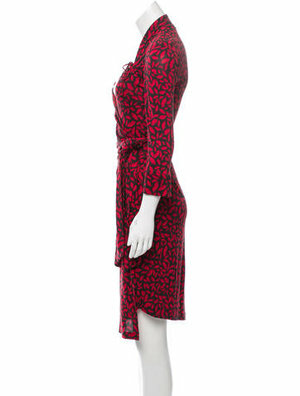 Encouraged by Vogue editor Diana Vreeland, Diane began to make her everlasting imprint on the fashion world and designed the now-iconic wrap dress in 1974. The instant sell-out was an international success, and put DVF’s name on the fashion map. Today, her signature dresses (including her lip print dress!) has been worn by thousands of women and hundreds of celebrities. So, if you are going gaga over this look! Click on the pictures below!